The best thing to do is to look for a place where quality souvenir toys are sold, and that’s where we come in. 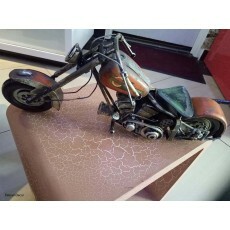 Finding a reliable source of quality and durable motorcycle souvenir toys isn’t always an easy thing, bearing in mind that many people will begin interior decor shops with a mindset of financial gains. As a very reliable seller of souvenir toys, we prioritize with the satisfaction of the client. This is not to say that our prices are very cheap, however, the charges we settle on are worth the items we sell.